The world’s top gold producer saw its mine supply plummet by 10% in the first half of 2017. 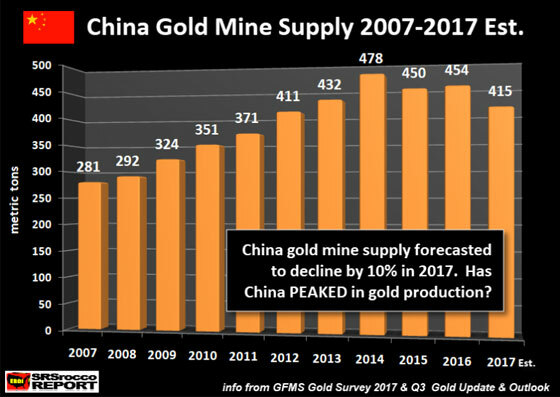 According to the GFMS World Gold Survey newest update, China’s gold production in 1H 2017 fell the most in over a decade. The fall in Chinese gold production is quite significant as the country will have to increase its imports to make up the shortfall in its mine supply. The report stated the reason for the decline in Chinese gold production was due to the government’s increased efforts to curb pollution as well as heightened awareness of environmental protection. Furthermore, GFMS analysts forecast that Chinese gold production will continue to deteriorate for the remainder of the year as production is scaled down. Also, isn’t it ironic that the U.S. dropped the Gold-Dollar peg (Aug. 1971) the year after South African’s gold production peaked? 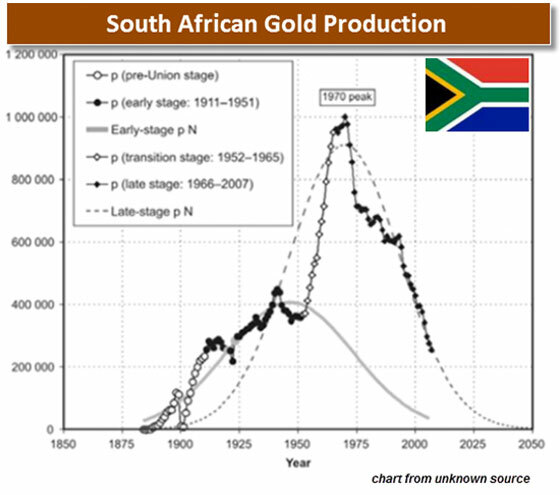 Regardless, South African gold production is now down 85% from its peak in 1970. For those individuals who don’t believe in the theory of Peak Gold or Peak Oil, stick around a few years… and you will become a believer. 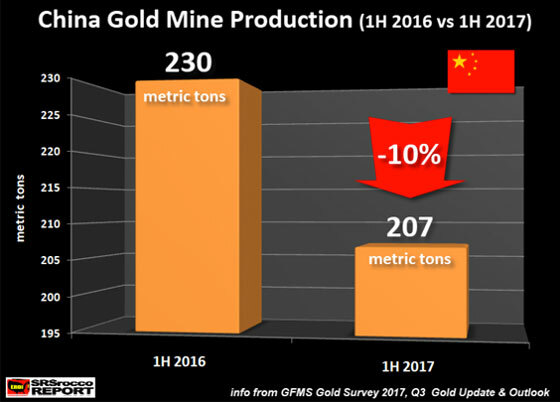 According to the figures reported in the GFMS 2017 World Gold Survey, China’s gold production reached a peak of 478 mt in 2014 and is estimated to decline to 415 mt* this year (*415 mt is my estimate based on GFMS data). If the forecast for 2017 is correct, China’s gold production will have fallen 13% from its peak in 2014. 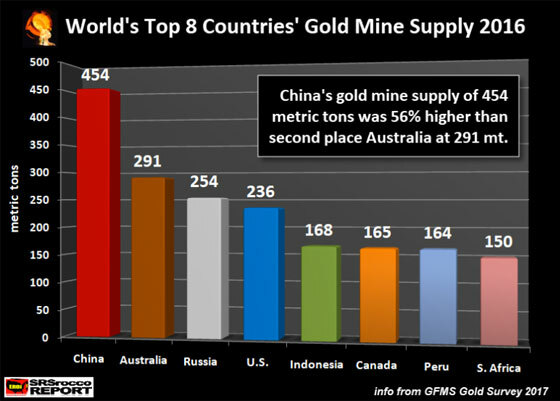 Moreover, if the world experiences a huge market correction and economic contraction in 2018, there’s a high probability that Chinese gold production will have peaked in 2014. Lastly, the peak and decline of global gold production will likely mark the time of the peak and fall of the global economy. Now, I am not saying this occurs the very same year, but it will be a gauge to pinpointing the very time when reached the SENECA CLIFF.